Have the Ides of March been delayed in 2019? 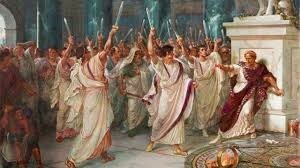 Normally the Ides of March just means the date March 15th. Shakespeare made the expression ominous as it was the day that Julius Caesar was murdered. Today in 2019, the 29th of March seems more significant than the 15th. Because on the 29th, we first have the conclusion of Brexit. Or maybe we don’t! Brexit has been a tortuous process that after 3 years has got nowhere. All it has done is to reveal the EU elite’s megalomania as well as their intransigence. It has also revealed the complete incompetence of the UK government as well as Mrs May’s total indecisiveness and her inability to distinguish between activity and achievement. March 29th is also very important in the banking world since it is the date when gold is recognised as a Tier 1 asset and thus equal to cash. Until now, gold was only a Tier 3 asset and its value was taken at 50% for the purpose of a bank’s solvency. 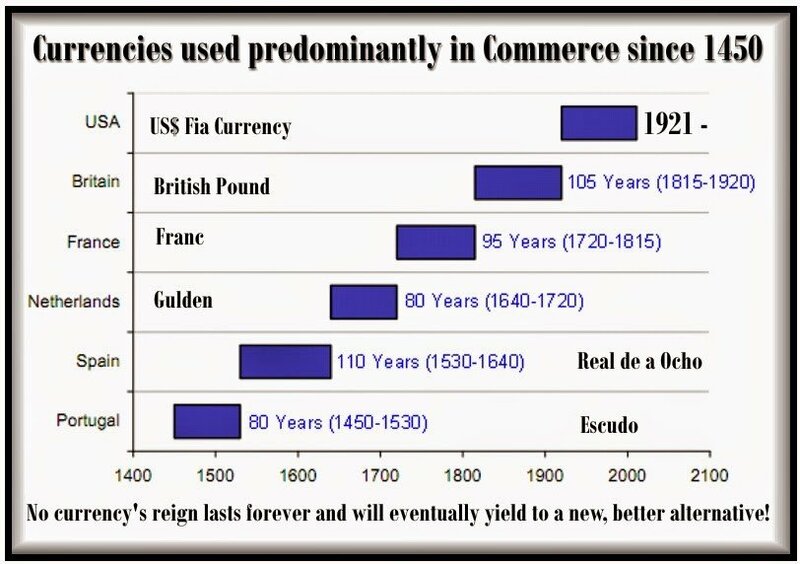 It is of course totally ridiculous that cash or fiat currencies which we know always go to zero over time, should have been taken at twice the value of gold. There are people speculating that gold becoming a Tier 1 asset will have major significance for the gold price. Also, some market observers even think that this is the beginning of a new era with gold again resuming the mantle of backing currencies or SDRs (Special Drawing Rights). Obviously this would require a substantial revaluation of gold in relation to the dollar in order to achieve sufficient cover for the debt outstanding. But even if the Ides of March are not delayed and March 29th 2019 does not have a major influence on the world, it will serve as a warning of things that are likely to happen in the world financial system. Desperate debt laden governments will take desperate decisions. 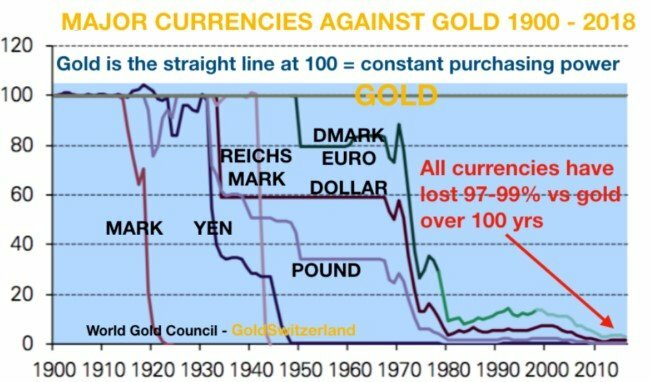 We could easily see a time when the US devalues the dollar significantly or introduces a crypto dollar and backs it with gold at a massively higher price. I doubt that the US will succeed in maintaining the hegemony of the dollar in the longer term, for a number of reasons. Firstly, the US is unlikely to be able to prove that they have the 8,000 tonnes of gold that they purport. Secondly, China and Russia would never accept that the debt infested USA is still in control of the world’s reserve currency. A country with 60 years of real deficits, 45 years of trade deficits and at least $200 trillion of debts and unfunded liabilities does not deserve to have the reserve currency of the world. The next few years will give us all unlimited opportunities to lose money. Last week I talked about 3 dozen reasons to buy gold and risks to investors’ assets. At least 99.5% of investors are oblivious to the risks I outlined which is clearly surprising since they will lead to the biggest asset destruction in history. But the norm is that maximum bullishness occurs at market peaks. The coming decline in all asset markets, be it stocks, bonds or property will shock investors, as they in real terms will lose at least 75% of their assets and probably more than 90% in most cases. The 3 dozen financial, economic, political and geopolitical risks will see to that. The problem is that the world is now entering an era when money printing and deficit spending no longer will work. It has been an absolute miracle that the world has survived on fake money and fake promises for such a long time. But we have now reached the point where it will no longer be possible to fool all of the people all of the time. Throughout history governments have mismanaged the economy and thus destroyed the people’s hard earned money. This is the rule rather than the exception. There are numerous examples of countries collapsing under their own debt but the best analogy to the world’s situation today is the Roman Empire because of its size. During a 500 year period, the Romans dominated an area, both militarily and culturally, which included major parts of Europe, North Africa and parts of Asia. As with all empires, the Roman one carried the seeds of its own destruction. Interestingly the world is now at a point when virtually all countries carry these destructive seeds. After the fall of the Roman Empire, the Dark Ages lasted for over 500 years. But as opposed to the Roman Empire, the current period of debts, deficits and decay encompasses the whole world and is of a magnitude much greater than 2,000 years ago. Therefore, it is likely that the effects of the coming collapse of the world economy could last a very long time. Just as the term the “Dark Ages” was only invented in the 14th century, future historians will only know afterwards if the world is now entering a period which will be a Return to the Dark Ages. If that will be the case, there would be a total destruction of both the financial system and the world economy with all its infrastructure. It would also involve wars, civil wars, a breakdown of society and a fall in population by several billion. To most people, this clearly sounds like unrealistic scaremongering and a prophecy of doom and gloom of dramatic proportions. The intellectual capacity of most human beings doesn’t include these complex issues and longer term projections. Much simpler to talk about Brexit or Trump and his alleged Russia connection. Clearly we hope that these cataclysmic events will not come to pass. But what we do know is that the risk is greater than ever in history. And just like the Dark Ages, we will only know about it after the event. The older generation living today would see the mere beginning of the fall but that can be dramatic enough. What is certain is that our children and grandchildren are very unlikely to have the prosperous and peaceful life that most of the world has enjoyed since 1945. Governments have many tricks in their bag to steal the citizens’ money. The easiest way is to debase the currency. And this all governments have done with superb skill throughout history. As the Roman Empire started to crumble the value of the currency, the silver Denarius, fell rapidly. In those days, money printing consisted of reducing the silver content of the coin. So from almost 90% silver in 180 AD, the rulers cheated their people by using less and less silver to coin the Denarius. By 270 AD, around 90 years later, the silver coin was both silver-less and worthless. Gradually, the Roman Empire started to crumble and Rome had all the expected problems of a state that was living above its means including major deficits and debts. Since the beginning of the 20th century, the world has experienced exactly the same thing as the Romans did 1,800 years earlier. The value of all currencies has declined by 97% to 99% and we will see all the major currencies reaching their intrinsic value of ZERO. “There is no means of avoiding the final collapse of a boom brought about by credit expansion. Thus, history repeats itself and we are again at the point when “the final catastrophe” is very near. The chart of the Denarius almost 2,000 years ago and the statement of Cassius are almost identical to the currency chart of the 20th century and von Mises’ statement. The more it changes, the more it’s the same thing. Physical gold is the best means to avoid that catastrophe.